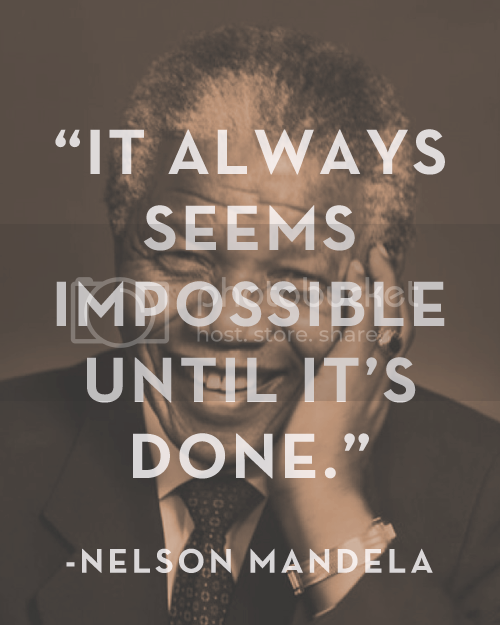 Since Nelson Mandela’s passing last week I have seen so many incredible quotes. I had a hard time picking just one, but this one in particular really struck a cord. This should be my motto for next year! RIP Mr. Mandela.